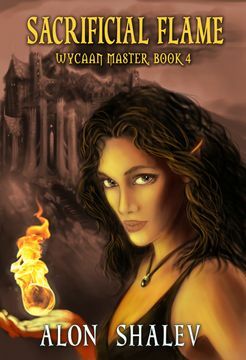 This entry was posted in General Fantasy, Writing Process and tagged $0.99, 99 cents, Alon Shalev, Ashbar – Wycaan Master Book 3, At The Walls of Galbrieth, author, blog posts, Book release, cover artist, dwarves, ebooks, elfe, Elfwriter blog posts, elves, epic fantasy, Eric Hoffer Book Award, fantasy series, female elf, Female Protagonist, final Hobbit movie, Happy Hobbit Day, Harry Potter, helmets, hobbit, Hobbit movie, immortality, legacy, Male Hero, novel writing, Peter JAckson, Peter Jackson movies, protagonist, redwood forest, Sacrificial Flame, social justice, Speed of Sound, Starbucks, swords, The First Decree, The Hobbit, The Lord of the Rings, The Professor, Tolkien, Tolkien movies, Tourmaline Books, tree books, Unwanted Heroes, Valentine’s Day, Writer's Spouse, Wycaan Master Book 4 Sacrificial Flame - Wycaan Master Book 4, Wycaan Master novels, Wycaan Master series, young adults. If I could, I would leave you another one, but Amazon will only allow me to review it once lol! Loved it and I hope you reach your goal! Reblogged this on Left Coast Voices.